Juanmy.R, Yamil, Rub a Dub, Cesar Martinez, Rhythm Box, Ahmet Mecnun and more. This show was 22nd in the global minimal tech house chart and 27th in the global dub techno chart. 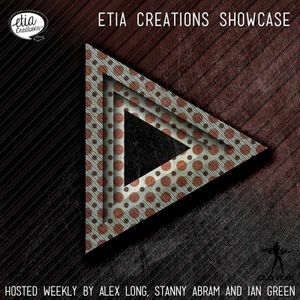 Etia Creations Radio Showcase for Clubvibez.co.uk - Vol.13 presented by Stanny Abram.